InstaForex broker invites its clients to take part in the drawing of fancy gadgets which is held as a part of Trade Wise, Win Device campaign. Each fortnight you have a great opportunity to become one of the lucky owners of 12 brand new devices: iPad, iPhone, Blackberry, and Samsung Galaxy Tab. Top up your account with 500 USD to add your name to the list of participants for three campaign rounds. The winners will be determined by so-called Device Number. Thus, everyone can have a chance to get the modern mobile device! 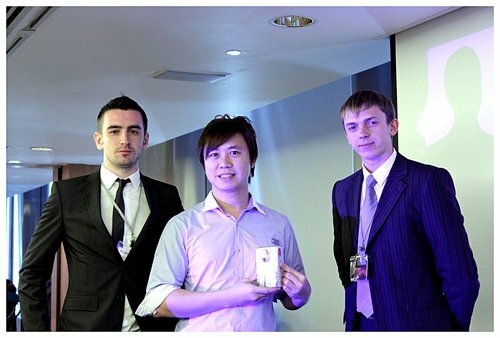 Fortune has already smiled to Yuriy Selivanov who gained Samsung Galaxy Tab. Register for the campaign and probably you will be among the winners! 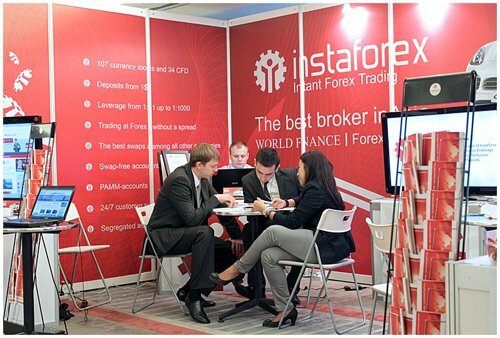 InstaForex Company aims to create the most favorable conditions for cooperation which will contribute to trading development. Modern devices will help our clients to stay flexible not only in life but on Forex as well. Trade Wise, Win Device campaign is launched from a background of contests and campaigns with the total prize pool of more than 500,000 USD. The clients have a unique opportunity to get not only a part of this sum but also win sports car Lotus Evora and Porsche Cayenne or gain brand new mobile device. On Sunday, April 8, InstaFx Education Centre started a forex workshop with the topic “Memulai Berinvestasi dan Trading Forex dengan Aman dan Benar”. 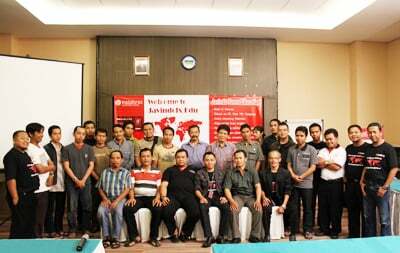 The event took place at the Wisata Hotel, Jl.Merdeka No.5 Purwokerto. 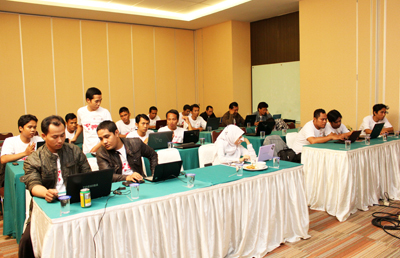 The workshop, which lasted for two days, was attended by 24 participants from the Purwokerto city and surrounding areas. 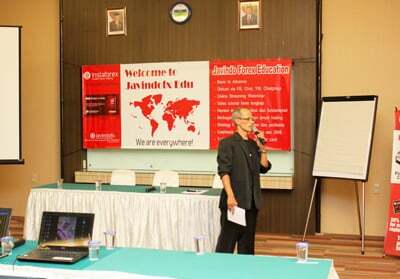 The lectures were given by Mr. Abiyanto Kurniawan, a team teacher of InstaFx Education Centre, and Mr. Heni Pranyto, an associate tutor of InstaFx Education Centre. Teachers and students discussed such topics as forex basics, MetaTrader, forex analysis, trading system, risk management, and Sample Trading Systems. At the beginning of the seminar InstaFx Education Centre presented its profile, products and facilities of the workshop. 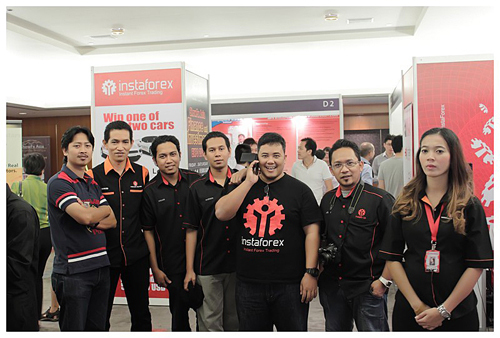 All workshop participants were automatically registered with the InstaFx Education Centre. The education centre services became very popular among the visitors. It is proved by the questions asked at the event and hopes for further workshops expressed to the representatives. The level of knowledge among the participants varied, but there were many beginners. Lectures were arranged with respect to the students’ prior knowledge of Forex market, so hopefully after the workshop the students can “take the appropriate action” on Forex. The information was eagerly awaited by the visitors who were familiar with “Forex Trading System” and “Live Trading with the Teacher of InstaFx Education Centre”. The lecture on the Trading system was listened with the great attention. At the end of the workshop InstaFx Education Centre awarded 8 attendants with the InstaForex shirts. The idea of the workshop was supported by the visitors as it provides a proper perspective and understanding of forex trading being safe and profitable. The students also hoped to arrange the forex trading community in Purwokerto city to share their knowledge and thoughts on forex trading after the workshop by the InstaFx Education Centre. Within the walls of Suntec City exhibition center InstaForex presented the full range of its trading offers and innovative services. The broker’s booth attracted a lot of visitors that were interested in its advantages and the latest innovative systems namely: the PAMM system with great possibilities either for investors or for managing traders; the unique ForexCopy system aimed at copying deals of successful traders; Binary Intraday Options service. It was a pleasure of employees of the company to answer all the questions of visitors and give them detailed consultations on different issues of trading with InstaForex. Everyone who visited the broker’s booth received from the company not only brand presents and souvenirs, but also $50 trading accounts. Some guests were fortunate get larger managed accounts. 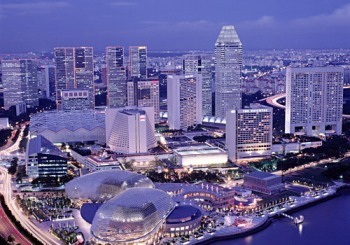 The ShowFx Asia Singapore Finance and Investment EXPO 2012 was held in friendly atmosphere of constructive conversation of not only brokerage firms, educational projects and software developers, but also of the traders that took part in this event. Business program was full of seminars, master classes, meetings with professional analysts and traders. nstaForex sincerely gives thanks to organizers and guests of exhibition for active participation and hopes to meet them at the next exhibition ShowFx World in Kiev on May 18 and 19, 2012. 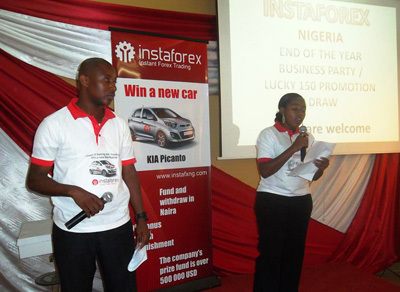 At the end of 2011, InstaForex official representative office in Lagos (Nigeria) has summarized results of the first stage of the Lucky 150 contest. The ceremony was attended by more than 80 guests and complimented by an amazing music and comic show. A cheerful Pre-New Year atmosphere mantled the event and gave the guests a festive mood. With great pleasure InstaForex Company welcomed all of them with gifts! 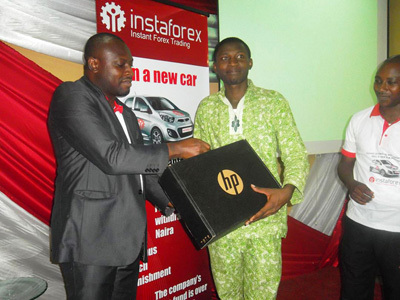 Two top prize-winners of the contest got Blackberry Smartphone and HP Mini Laptop, 10 winners received valuable recognition gifts, and everyone got gifts with InstaForex logo. Lively dances and tea-party with a traditional InstaForex cake became a nice postlude of the ceremony. 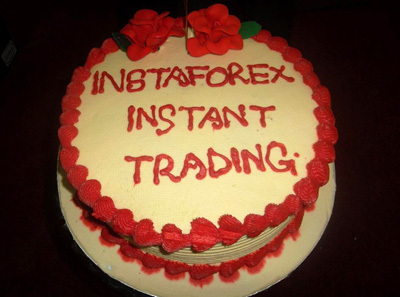 The hearty event has hardly left anyone unfazed, and InstaForex Company gladly welcomed a dozen of new customers at the end of the ceremony.